Certificates and Warranties: During the conveyancing process, you will be asked if any works or alterations have been carried out on your property. Works may include a replacement boiler, installation of a new consumer unit, installation of solar panels, an extension(s), decking, or even a new build property in the back garden. Most of these works will need to be compliant with building regulations, in which case a compliance certificate should have been issued. Warranties for the work may also have been received. Gathering all of these certificates (and any associated warranties) together at an early stage should help minimise the enquiries raised regarding the works and you will also know at an early stage if any of your paperwork is missing. Property Information Forms: There are standard forms that need to be filled in when you are selling a property. You might consider asking your solicitor for a copy of these prior to agreeing a sale. 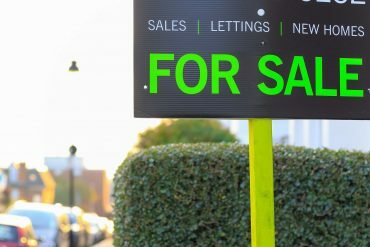 You will then be able to read through them in your own time and consider the information that you will need to supply when you sell your property. We would advise against completing the forms prior to your sale being agreed as the forms should always be as up to date as possible. It is also advisable to have another look through your completed forms just prior to exchange of contracts to ensure nothing has changed since you filled them in. Deeds: Nowadays most properties are registered at the Land Registry but there are the few that remain unregistered. Regardless, you should consider speaking to your solicitor about the deeds to your property to ensure everything you might need is available. If documents are missing discussions can take place early on to determine a plan of action. This should help to prevent any delays during the sale itself. Completion: Before agreeing the sale of your property consider whether there are any dates that you wish to avoid or work towards for completion. Discussions should take place with the buyer and those in the chain also to see if they have any specific requirements regarding completion dates. By determining everyone’s situation early on you avoid disappointment. Ultimately, there may be some unforeseen circumstances which might delay (or speed up) a transaction but you will have done your best to avoid this scenario. The bottom line is think about doing some or all of the above before a sale is agreed. This can, and probably will, greatly assist the conveyancing process and encourage a prompt and timely completion.